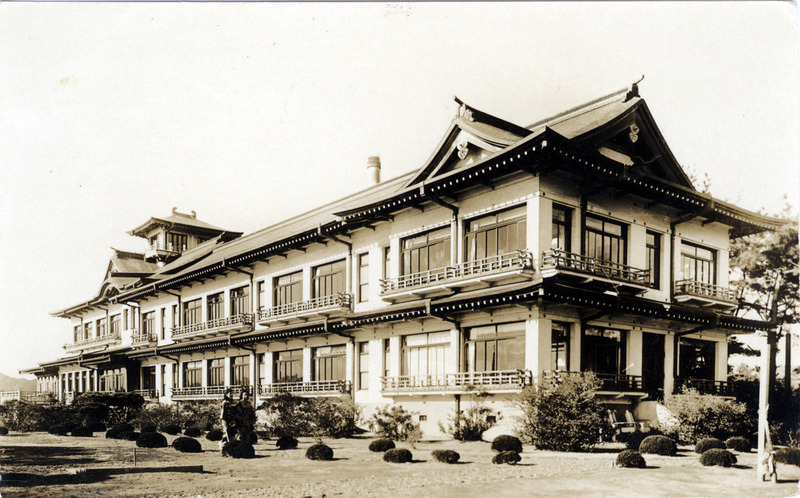 “There is one [hotel] which every foreign visitor tries to stay at. This is the Gamagori. It is the perfect blend of the Swiss chalet and the rustic American or Canadian log cabin. It is neither too large to give the impression of being a glorified barracks, nor too small to make it impossible to choose your friends there. 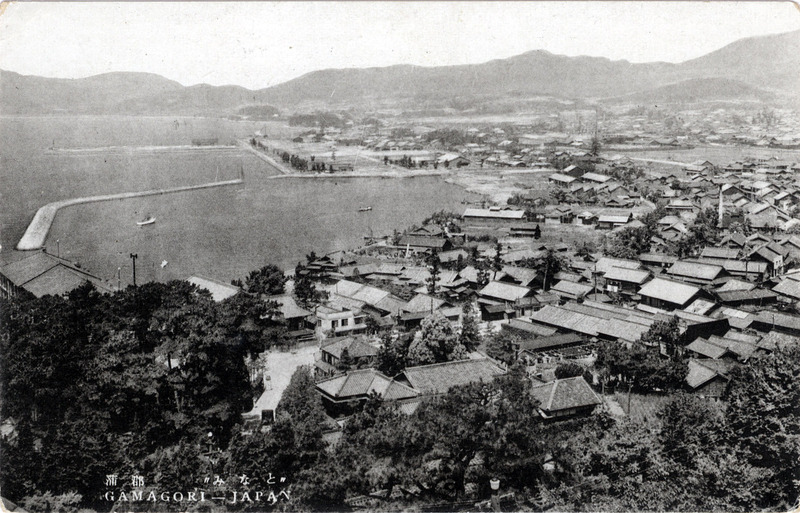 Aerial view of Gamagori town, c. 1940.